Magic the Gathering Eldritch Moon Prerelease Events! 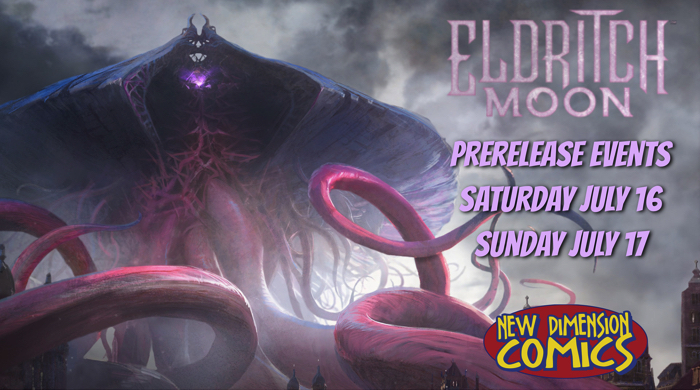 Stop in to your local New Dimension Comics and as for details about the Eldritch Moon Prerelease events going on between Saturday July 16 and Sunday July 17! Preregistration is open at most locations! ← 3 Rivers Comicon Year 2 Dates!